Yes, it's inspired by Jayne's hat. 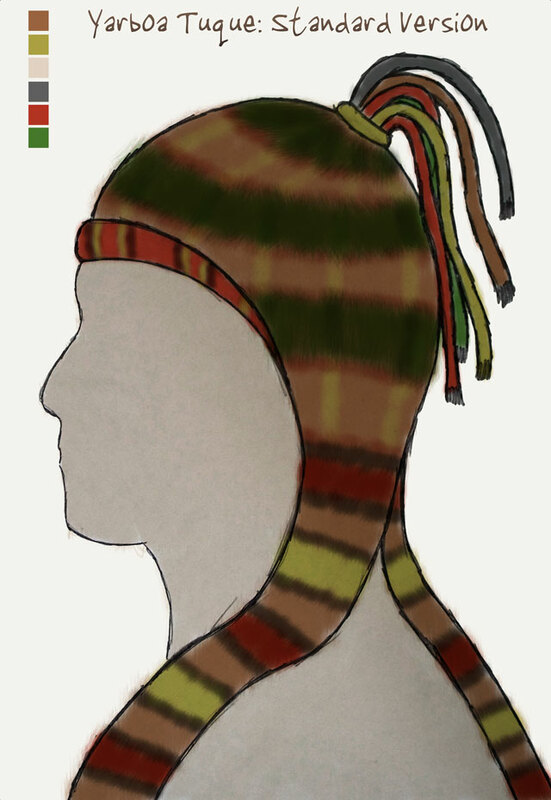 The Yarboa tuque is supposed to be kinda strange, often garish to our eyes, a spiritual sibling to the Scottish kilt. If you've read the bonus pages in the book, you know that a great deal of information is encoded into each part of this hat. Usually they're much more colorful than this one, but I wanted to keep this concept sketch pretty simple. Note of interest, this one took me about an hour to an hour and a half to draw, import, and color in Photoshop. I'm speeding up. =D Too bad that I'm going to have to rehash this one to make it brighter and happier.